I never met a potato that I didn’t like. 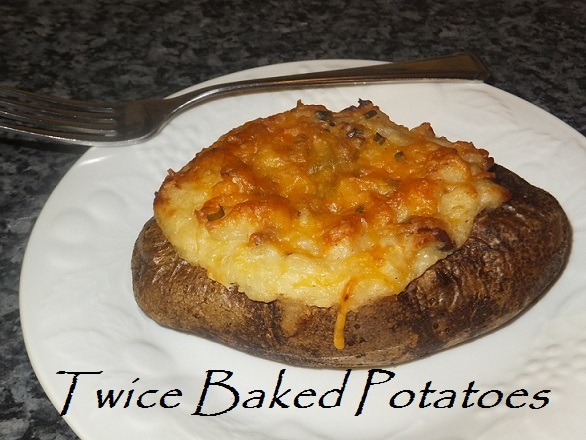 I’m a huge fan of any kind of potato recipes but I really love twice baked potatoes. However, I must admit that I’ve had my frustrations in making them. They usually turn out good tasting, but not always good-looking visually. They end up falling flat or seeping out the sides. This particular recipe provided me with the most success both visually and tastefully. Plus, it was pretty easy to make and involved a lot of bacon! Preheat oven to 400 degrees. Scrub and pierce potatoes. Rub or Spray butter all over potatoes. Place on a baking sheet for 45-50 minutes or until tender. Meanwhile, cook bacon in a skillet over medium heat until crispy. Place bacon on paper towels, while reserving 1 tablespoon of drippings. Cook the onion in the reserved drippings until tender, set aside. Break up bacon into small pieces and set aside. 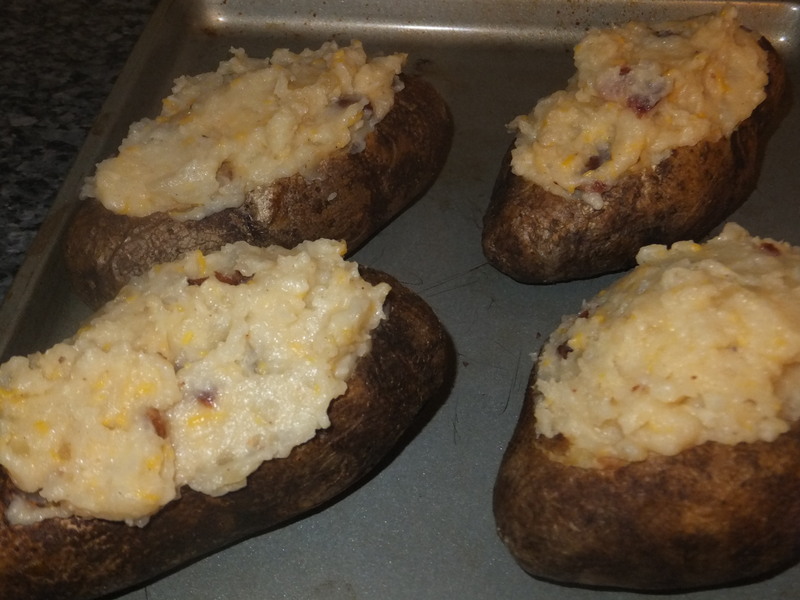 After the potatoes have cooled, cut a thin slice off the top of each potato and discard. Scoop out the pulp and place in a large mixing bowl. Mash the pulp with butter. Stir in milk, egg, salt, and pepper. Next, stir in the cheese, onion, and bacon. Carefully spoon the mixture into the potato shells. Place on a baking sheet. Sprinkle chives and some extra cheese on top of potatoes. Bake at 400 degrees for 15-20 minutes.